We are in the market for manufacturing and export and domestic distribution of Rhodamine B. We, Kolorjet Chemicals Pvt Ltd are the leading Manufacturer & exporter of fabric dyes. 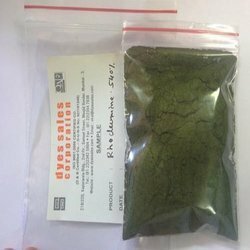 Our firm is known in the market for Rhodamine B 500%. These are made as per client’s demand. In addition, we present this product at nominal rates to our customers. 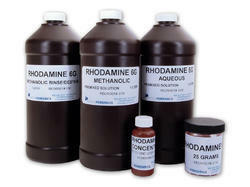 Due to rich industry skill, we provide an extensive range of Rhodamine B Liquid. In addition, this product is available in diverse forms that meet on client’s demand. Backed by enormous industry expertise and understanding of this area, we offer an extensive series of Rhodamine 101. H Gokal Das & Co.